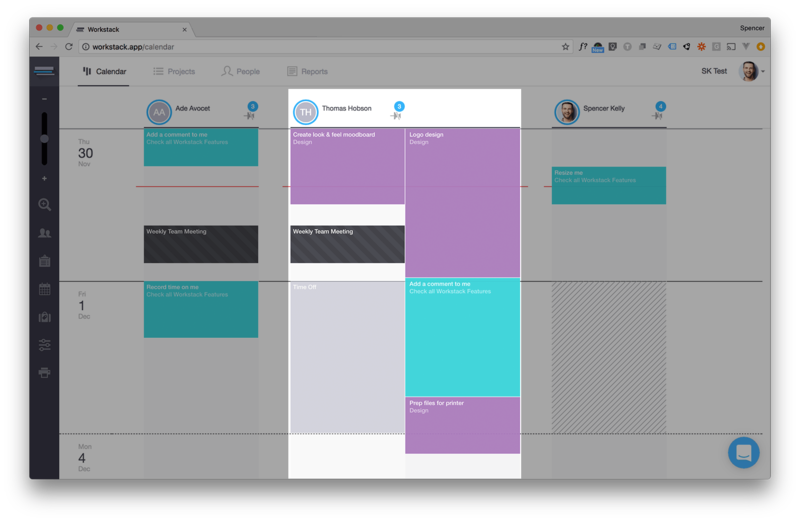 The calendar view is the place where you can schedule your team's work. 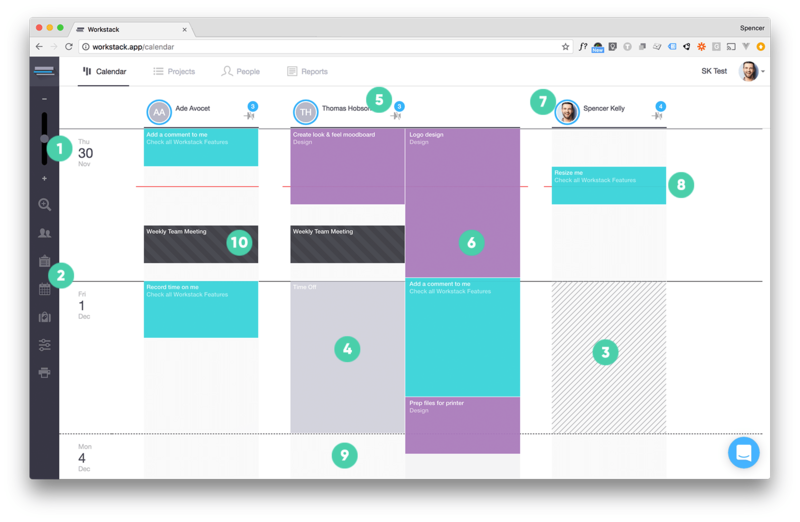 Unlike a traditional calendar the Workstack calendar is a continuous stream of dates stretching into the future, making it easier to deal with tasks that span multiple days. Toolbar - calendar specific tools detailed in The Calendar Toolbar. The most important and frequently used items on the calendar at the tasks. 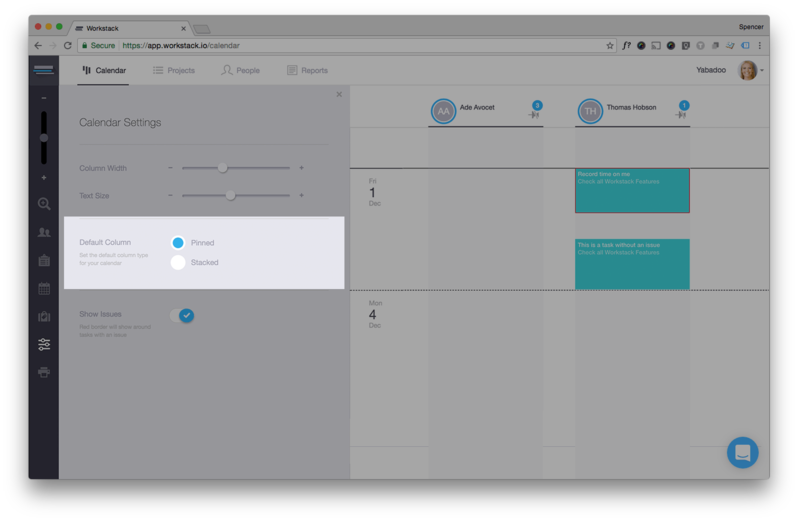 A task in Workstack is the part of a Todo that is actually assigned to somebody. It can either be the whole Todo are just a piece of it. 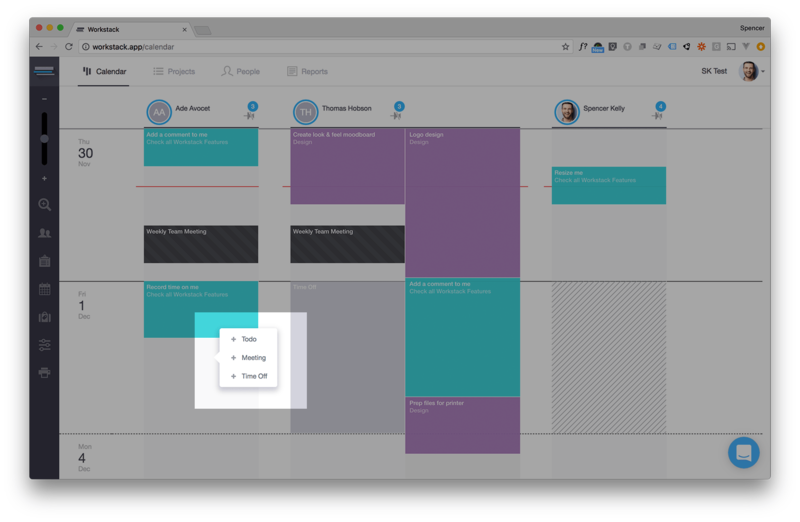 It's also possible to assigned tasks from the same parent todo to different people. Another key element of the Workstack calendar are the stacks. Each person has two columns or "stacks" one for pinned tasks that are pinned to a certain start date/time and one for stacked tasks that just stack one on top of the other. When you login to Workstack for the first time you will be asked which column you want to show by default, and then the hidden column can be shown by clicking the pin icon in each person's header. The small number in the blue circle next to the pin shows how many tasks there are in the hidden column so you can see at a glance if that column is empty or not. You can switch which type of stack you want to display as the default and which one to hide from the Calendar Settings panel. If you click on someone's stack you will see a context menu that will give you the option to add a Todo, Meeting or Time Off.